Energizer Industrial D Battery. The Energizer Industrial battery provides economical power for modern devices that demand high power and are heavily used. The Energizer Industrial battery is a strong, long-lasting alkaline battery, and is the preferred choice of professionals. 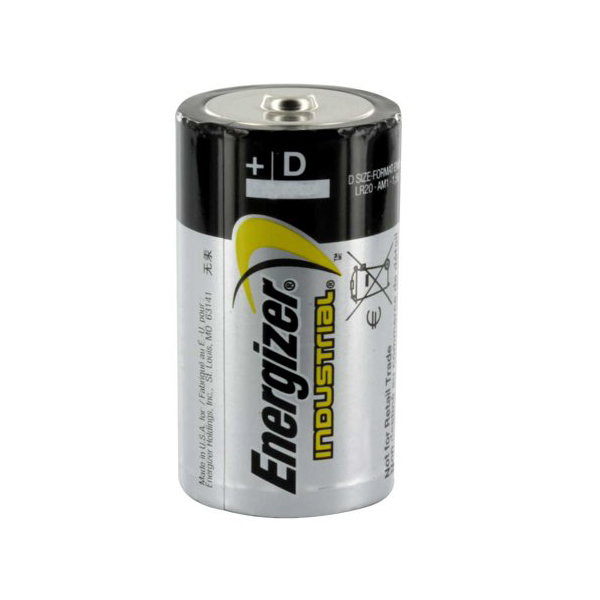 The Energizer Industrial alkaline battery contains the long lasting power found in the Energizer Max alkaline with a design and packaging for businesses, organizations, or agencies that use batteries in their operations. Outstanding performance and reliability combined with a great price makes Energizer Industrial batteries a great buy.